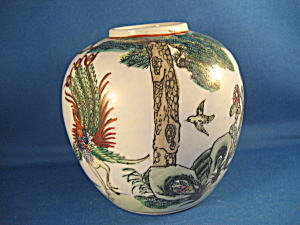 Wonderful scenes with birds on this oriental jar. Jar is 5" tall and has markings on the bottom, but cannot make out what is printed. In excellent condition.